On two occasions Frudakis came through Ellis Island; first when he was five and again at age twelve. Frudakis' works include the John F. Kennedy Portrait Memorial which is in Atlantic City, the N.J., Icarus and Daedalus Fountain, Little Rock, Arkansas, and The Singer, Independence Hall, Philadelphia, Pennsylvania. 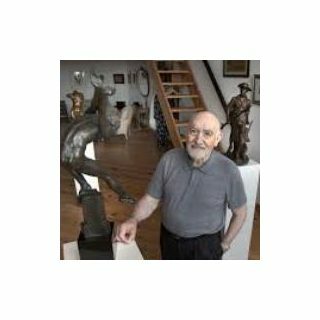 He recieved the Prix de Rome, the Herbert Adams award for outstanding contribution to American sculpture and the Elizabeth Watrous Gold Medal awarded by the National Academy of Design. 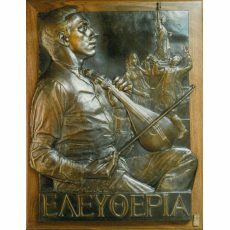 He is one of the leading sculptors in the countys and heads the Frudakis Academy of the Fine Arts in Philadelphia.